NYU Dentistry and Washington County Children’s Program (WCCP) continues to partner to bring no-cost dental care to Downeast Maine. 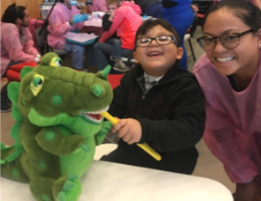 The Dental Outreach Program in Machias will take place April 8 – April 13 (closed Thursday, April 11) at the Lee Pellon Event Center located at 90 Main Street, behind the Subway Restaurant. Dental Clinics and Services for Maine Residents (PDF) - This newly revised (December 2018) directory provides detailed descriptions of Maine's dental clinics and services including requirements and restrictions and is meant to provide a resource for health and social services providers likely to be assisting clients in obtaining the dental care they need. Maine people will have an improved quality of life through optimal oral health. Statewide coordination and integration of community based oral health services through increased access and removal of barriers.